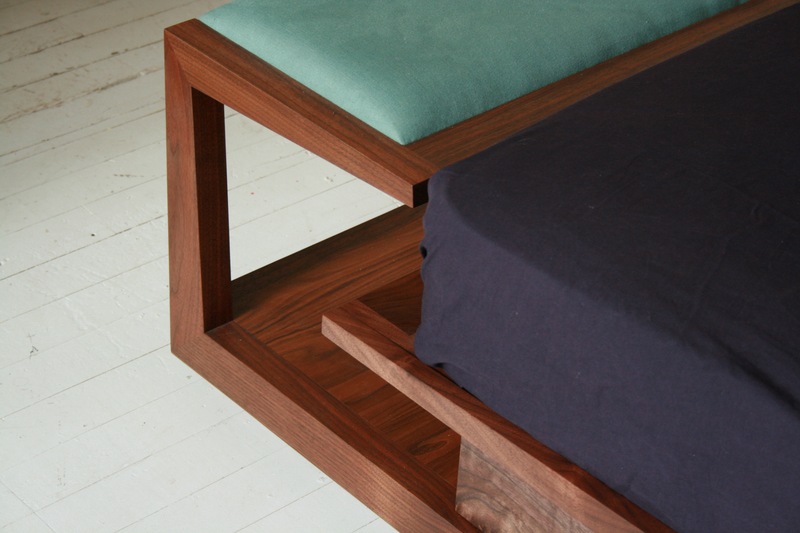 The integral upholstered bench cantilevers over a space for storing extra pillows and a large bedspread. There are two drawers on each side also for miscellaneous storage. 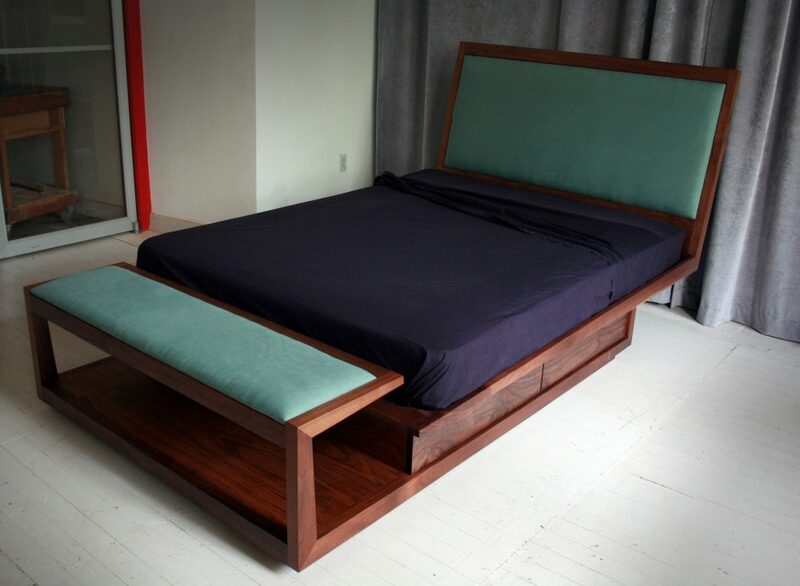 Shown in queen size.